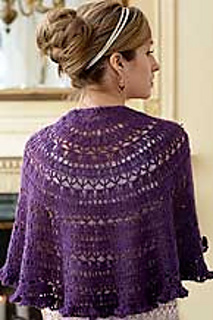 Beautiful lace shawl will fit most sizes. Size 3.75 mm (U.S. F or 5) or size needed to obtain tension. Approx 35 ins [89 cm] deep at center back.